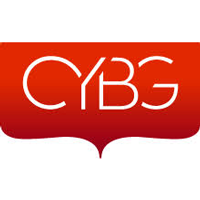 CYBG PLC (LON:CYBG), today announced Q1 2019 trading update. The group confirmed that trading in the three months to 31 December 2018 was in line with the Board’s expectations and that good progress has been made with the Virgin Money integration programme. The acquisition of Virgin Money completed on 15 October 2018; the financial performance and business commentary in this trading update has been prepared on the basis that the combination with Virgin Money had been in effect since 01 October 2017 (see basis of preparation for more details). – Our integration programme is well underway and we are pleased with the progress we have made in achieving our initial milestones. The Group’s underlying cost:income ratio in Q1 was below 60%. “The Group has made a good start to the year and we are making encouraging progress on the initial stages of the three-year Virgin Money integration programme. In a highly competitive environment, we have delivered ahead-of-market lending growth for our customers and improved our NIM guidance for 2019. We have also made good progress on cost reductions and have now increased our integration synergy target to £150m. I am particularly encouraged by our performance in SME. We are well prepared for the start of the RBS Incentivised Switching Scheme and we hope to attract a large proportion of the 120,000 SME customers that RBS are required to switch. We have also recently submitted our application for a grant from the RBS Capability and Innovation Fund, where we believe we offer the strongest case for delivering a genuine boost to competition in the SME market. We started FY19 with a strong mortgage pipeline which, together with a focus on customer retention, delivered balance growth of 1.5% in the first quarter. We sustained momentum in SME origination during Q1 backed by strong demand from our SME customer base, with drawdowns of c.£600m (at attractive margins) and net lending growth of 1.2%. We therefore remain on track to deliver our commitment to lend £6 billion to our SME customers over 3 years by the end of FY19. Retail unsecured lending increased by 0.4% reflecting modest credit card balance growth in the period. The Group’s deposit gathering continues to perform well. We started the quarter with high levels of liquidity following the wholesale funding raised at the end of Q4 18, which, together with good deposit origination at cost-effective rates, enabled us to fund the strong growth in lending in the quarter as well as meet scheduled maturities for savings and term deposits. Asset quality remained resilient with an annualised net cost of risk of 22bps in the first three months, in line with management’s expectations and reflecting higher cost of risk in SME and Retail Unsecured. Impairment charges in Mortgages remain very low. The increase in SME reflects a cost of risk more reflective of historical norms following the very low levels of impairment experienced in FY18. Retail Unsecured cost of risk has increased largely due to portfolio mix changes. The Group has made good progress in reducing its underlying operating costs in the period and remains on track to deliver its FY19 guidance of <£950m. The run-rate savings from the final year of the Group’s Project Sustain cost efficiency programme are being delivered as expected. The Group is also confident that it will realise Year 1 integration synergy benefits as planned. The rationalisation of the top two layers of senior management is now largely complete and the VM Digital Bank project has also been closed down with no future operating costs to be incurred. The Group’s underlying cost:income ratio in Q1 was below 60%. Having confirmed the initial cost synergy assumptions, the Group now expects to deliver a minimum £150m of annual net run-rate cost synergies by the end of FY21, vs. £120m announced previously. The Group incurred £161m of exceptional charges in Q1 including £48m of costs incurred by Virgin Money in relation to the transaction, £8m of acquisition associated stamp duty, £77m in relation to the closure of the VMDB project (including a £70m capital-neutral asset write-off) and £17m of initial integration spend. During the remainder of FY19 the Group expects to incur a further c.£100m of integration, rebranding, and restructuring costs. PPI complaint variables are all tracking as expected with complaint volumes in the first quarter of c.1,800 per week, in line with our provision assumption. The Group therefore remains comfortable with its current level of PPI provisioning. 1 30 Sep 18 balances are on a pro forma basis. 2 The Group has largely completed the run-down of its non-core SME portfolio and therefore the small remaining balance has now been re-integrated into a single SME portfolio for reporting purposes. The Group has completed its preliminary assessment of the IFRS 3 accounting adjustments required upon consolidation and, as guided, the net impact on Day 1 capital is immaterial with goodwill relating to the acquisition of £12m – see appendix 1 for details. The Group remains strongly capitalised with a CET1 ratio of 14.5% at 31 December 2018. In line with expectations, this is c.60bps lower than the pro forma 30 September 2018 ratio of 15.1%, primarily due to dividends and AT1 distributions (c.30bps) and exceptional charges (c.20bps). The Group confirmed in January that it had signed a conditional agreement in relation to the strategic joint venture with ASI. This will enable the Group to offer market-leading investment solutions through the Virgin Money brand, enabled by ASI’s asset management technology. Under the terms of the sale and purchase agreement, with ASI acquiring 50% (less one share) of Virgin Money Unit Trust Managers Limited (“VMUTM”), the Group will receive cash consideration of c.£40m upon completion (expected in calendar Q2 2019). Once completed, the strategic partnership will be accounted for using the equity accounting method. In 2018, VMUTM recorded3 non-interest income of c.£35m and operating costs of c.£20m. The accounting reallocation of the VMUTM operating costs is not included in the annual run-rate cost synergies of £150m by FY21. The political situation in the UK remains highly uncertain and the potential impact on the UK economy remains unclear, but the Group remains focused on unlocking the opportunities from the Virgin Money acquisition and delivering our FY19 margin and cost guidance. Assuming a broadly stable pricing environment, the Group’s NIM is now expected to be 165-170bps for FY19. This includes the impact of the Group’s review of its credit card EIR accounting approach and reflects adjustments made to the key assumptions which are now in line with market norms, reflecting a more conservative basis. The Group remains on track to deliver its FY19 cost target of <£950m and, having confirmed its initial cost synergy assumptions, now expects to deliver a minimum £150m of annual net run-rate cost synergies by the end of FY21 vs. £120m previously announced. In terms of asset growth, mortgage market dynamics remain consistent with those experienced over the last 12 months and pricing in that market remains highly competitive. In light of this, net mortgage lending growth for the full year will be lower as we focus on optimisation of volume and value. SME and unsecured lending growth are expected to remain robust. The Group will be hosting a Capital Markets Day for investors and analysts on Wednesday 19th June in London at which the Group’s updated strategy and medium-term targets will be communicated. More details on the event will be provided in due course. Click CYBG for the full archive.